Bridgwater & Taunton College's sports facilities are spread over our three campuses in Bridgwater, Taunton and Cannington. All of which are available to hire! The Fitness Zone - based at our brand new National College for Nuclear, the College's state-of-the-art gym includes cardio and resistance equipment and a designated free weights area. There are various membership packages available, for members of the public, students and staff. Click here for prices. All of these facilities are available for student, staff and public use, with group bookings welcome. 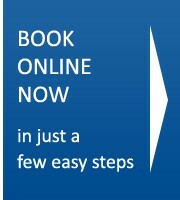 Gym membership is available at very competitive prices! There are shower and changing facilities at all sites. To take an online tour of our facilities, click here and then on number 5 to see our Sports Hall and for a tour of the gym click here. For more information give the Sports Zone a call on 01278 441322/ 655122 or email us. Please note that The Fitness Zone is used for educational purposes, and closes for certain periods during week days for student use. Please click here for opening times. The Fitness Zone is closed on Bank Holidays and over the Christmas and New Year period. 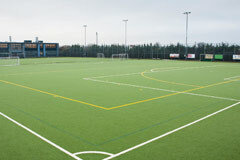 Superb outdoor pitches including an astro-turf pitch (full size, all-weather, floodlit), two grass pitches, a cricket pitch, a rugby pitch. A state-of-the-art gym, which has cardio and resistance equipment, individual weight resistance machines and free weights. 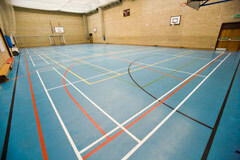 A flexible four court sports hall suitable for badminton, netball, basketball, volleyball, 5-a-side football and cricket. 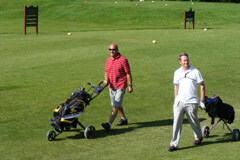 at Cannington Centre, with a fully automated, floodlit driving range, pro shop and clubhouse.